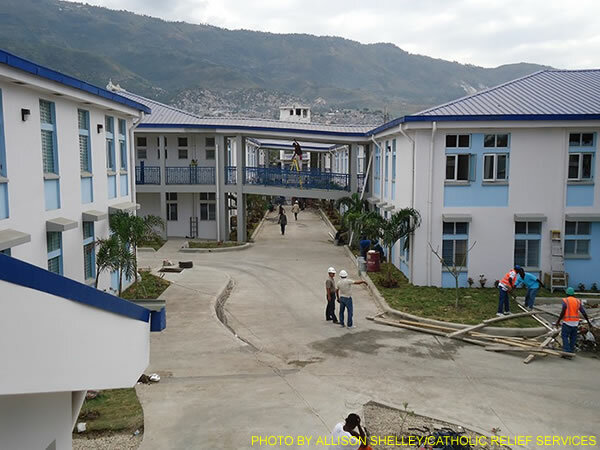 Here is a picture of the new St. François de Sales Hospital in Port-au-Prince, Haiti, five year after Haiti earthquake has destroyed it. The new St. Francois de Sales Hospital, resurrected after the 2010 earthquake, has re-opened. It is now a teaching hospital with more beds and expanded services: pediatrics, obstetrics, surgery, and cancer treatment, as well as an electronic records system and ambulance service. The $22.8 million facility was funded by the U.S. Catholic Health Association, Dominican Republic Sur Futuro Foundation, and Atlanta Catholic Community. The hospital will be subsidized by paying patients being cared for in a private wing.